The serious barista’s dream machine. In a compact footprint, Slayer Single Group packs the same commercial head, steam valves, and brew actuator as its predecessors – plus a few extras. With a new touchscreen interface that assists in flavor profiling and temperature management, you’re looking at a one-group espresso machine with unprecedented capability. 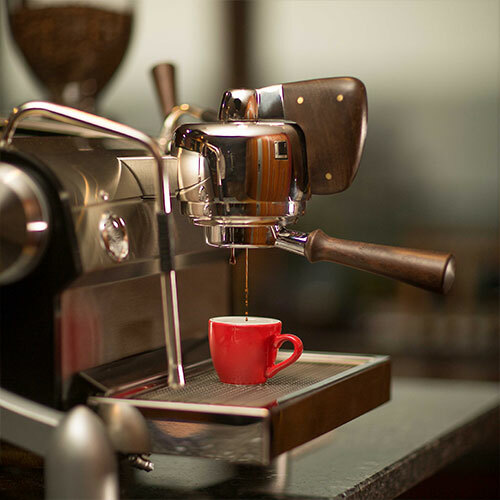 Enjoy the best that your espresso has to offer with Slayer’s signature flow control. In both manual and semi-automatic modes, the Single Group divides extraction into multiple stages and manipulates flow rate to highlight the inherent sweetness of espresso. Extreme grind fineness, made possible by patented pre-brew technology, lends to extraordinary body and beautiful crema. Around the world, professional and amateur baristas alike are making exceptional coffee with the Slayer Single Group. Ideal for: Espresso bars, small restaurants, catering events and your kitchen. Commercial brew group, 58mm portafilter with patented Needle Valve technology for Flavor profiling. Prepare extraordinary espresso and steam milk simultaneously with our dual boiler design. Achieve perfect, microfoam and even latte art with our commercial steam wand assembly. *In North America, use 3/8 inch compression to 3/8 inch National Pipe Thread (NPT) male fitting and cross-thread into 3/8 inch BSP water line. *Add 6.4 centimeters / 2.5 inches for portafilter hangover at front.